Combine lettuce, cabbage and cucumber in a salad bowl. To prepare the dressing place all ingredients in a blender and pulse several seconds until creamy. Serve dressing over salad. 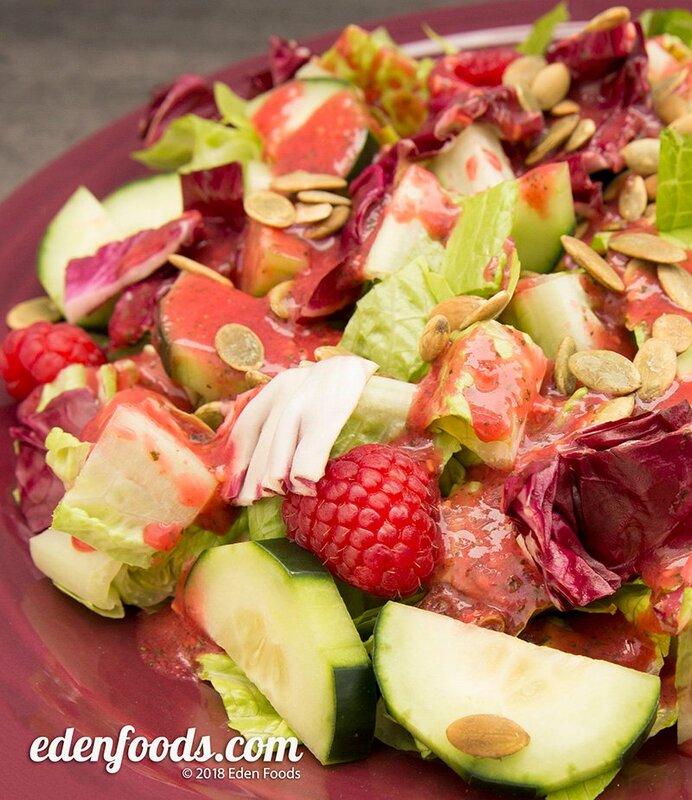 Garnish each salad with a few fresh berries and a sprinkling of pumpkin seeds before serving.